NASA’s New Horizons mission is a pretty interesting one. Rather than heading to one specific location, as many other spacecraft do, the New Horizons craft has multiple points of interest it’s planning on checking out. Way back in 2015, the plucky probe got up-close-and-personal with Pluto before falling asleep again for the long flight towards the outer reaches of the Solar System. Now, just a couple of months after snapping out of its hibernation mode, the spacecraft is settings its sights on its next target, a mysterious object in the Kuiper Belt known as Ultima Thule. 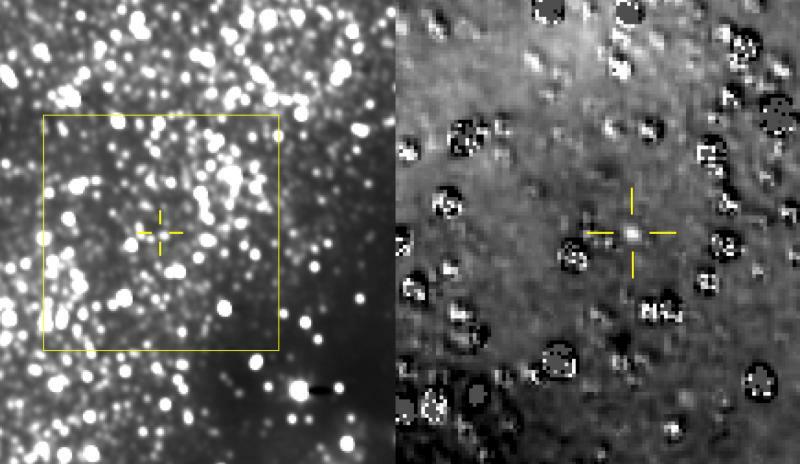 When the New Horizons team decided to snap an image in the direction the spacecraft is headed, they didn’t necessarily expect to actually see Ultima Thule from this far away. Nevertheless, the dim light of the large object is indeed visible in the photo that the probe sent back to Earth, and researchers are pretty excited about it. The Kuiper Belt is a thick ring that is situated on the outer edge of the Solar System. It’s filled with objects of all sizes, from dwarf planets similar to Pluto to specks of dust. Ultima Thule is thought to measure around 20 miles in diameter, making it one of the smaller objects in the belt, but it’s still an extremely interesting place to scientists. Some believe that it might actually be a binary system, meaning that it’s actually two smaller objects in very close proximity or even in contact with each other. We’ll learn exactly what it is when the New Horizons spacecraft actually arrives at Ultima Thule on January 1st of 2019. When that happens, it will officially be the most distant object ever visited by a manmade spacecraft.